To help celebrate National Nurses Week, May 6-12, 2012, guest blogger Sam Omulligan wrote this comprehensive history of the day and week celebrating the important work that nurses accomplish. For their tireless efforts to support and comfort the weak, injured and sick during times of peace and times of war, it’s only fitting that nurses should have some time set aside in their honor. 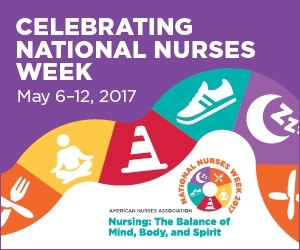 Since the early 1990s, National Nurses Week has been observed as a way to recognize the contributions of nurses nationwide. The week-long observance begins May 6 and ends May 12, which is the birthday of Florence Nightingale, the 19th century nurse who is considered to be the founder of modern nursing.